In some of the most desolate areas on earth there are astonishing natural features and geological wonders. 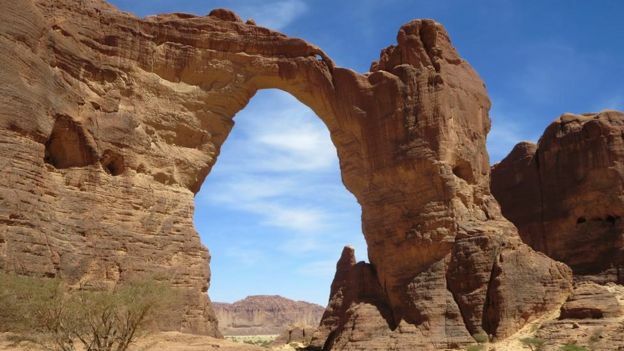 The Ennedi geological features in the African country of Chad are a prime example. FOR 30 years, the United Nations organisation UNESCO has been augmenting its World Heritage List with sites of particular importance for biodiversity, geology and evolution. There are currently 206 of them, with a further eight nominations due to be considered this June. From bizarre geological formations and singular habitats to fascinating fossil beds, here is our selection of the best of the best of Earth’s natural heritage. Covering an area of almost 350,000 square kilometres off Australia’s east coast, the Great Barrier Reef is home to 400 types of coral, and thousands of species of fish and molluscs. However, it is suffering multiple threats – from “bleaching” due to warming seas to runoff from forest clearance in the neighbouring state of Queensland. According to the most pessimistic predictions, even if current trends can be reversed, the reef will not recover for generations. LIBREVILLE, Gabon — Almost 8 million euros ($10 million) of European funding has been pledged to restore and protect a UNESCO world heritage site in Chad, said NGO African Parks on Tuesday. 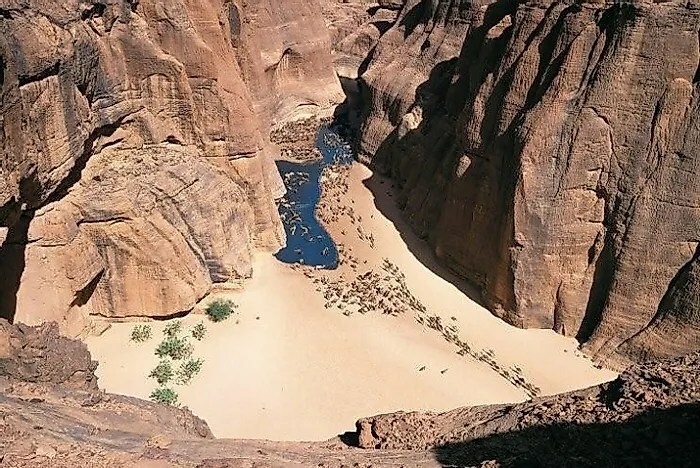 The stunning mountainous landscape of the sandstone Ennedi nature reserve in northeastern Chad, near the border with Sudan, is a water-rich island of biodiversity on the southern fringes of the Sahara desert. It is home to hundreds of species of wildlife including crocodiles, hyenas and gazelles. The European Union and the Dutch national lottery jointly pledged 7.7 million euros ($9.5 million) for the administration of Ennedi, according to African Parks. The NGO said it signed an agreement with the Chadian government to “manage and restore” the nature reserve. 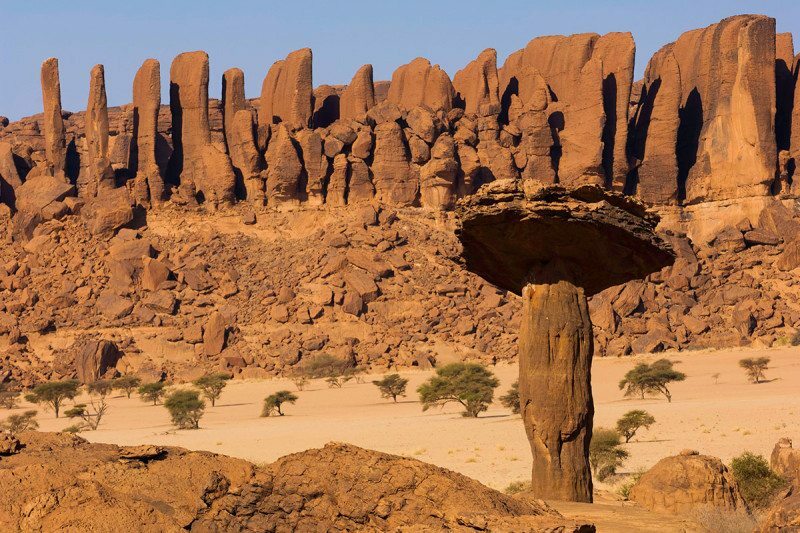 “Ennedi represents another extraordinary commitment by the government of Chad to the long-term protection of its wild landscapes,” the NGO said. The reserve supports a plethora of life, including more than “525 species of flora and at least 199 bird species which pass through on their transcontinental migratory routes”, African Parks said. And for a true desert experience it’s hard to beat the Sahara. I was invited by a family friend, David Coulson, the executive chairman of TARA (Trust for African Rock Art), which had a grant from the US Ambassadors Fund for Cultural Preservation to document prehistoric rock art in the Tibesti and Ennedi mountains of northern Chad. Cave paintings at a UNESCO world heritage site in Chad have been defaced by unknown vandals, the central African nation’s culture minister told AFP on Sunday. “We discovered inscriptions left by some visitors. They wrote on top of the cave paintings,” said the minister Mahamat Saleh Haroun, also a Chadian filmmaker. Ancient cave paintings at a world heritage site in the Sahara desert have been defaced with graffiti, Chad’s minister of culture has told the BBC. The graffiti drawn on the paintings, which are about 8,000 years old, was “a tragedy… offensive to the whole history and memory of Chad,” Mahamat Saleh Haroun said. Vandals scrawled their names on top of the artworks in French and Arabic. 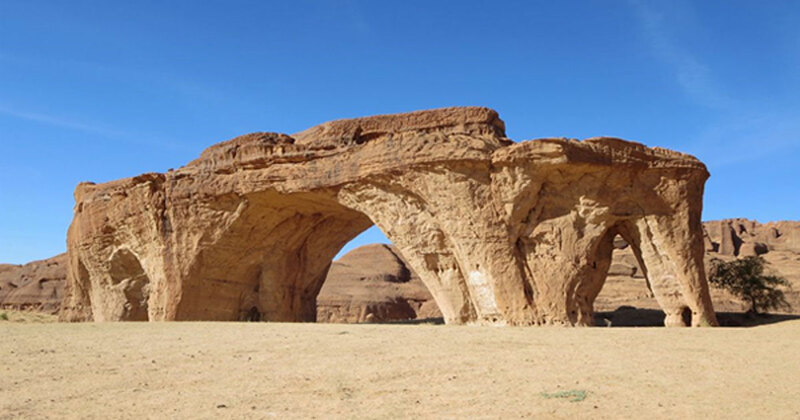 The Ennedi plateau was declared a Unesco world heritage site in 2016. “It’s an African story and they wanted to destroy that. “That’s why I’m talking about a tragedy, because it’s a part of us,” said Mr Haroun, who is also an award-winning filmmaker. Local youths are suspected of being behind the vandalism. The writing consists of “some names” of visitors and the last messages date from January of this year, said Haroun who has seen photos of the damage. 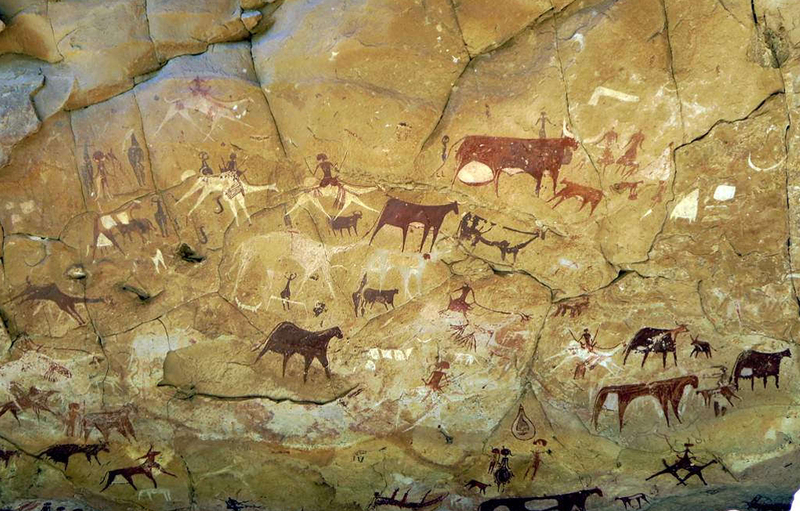 Ennedi’s sandstone massif has provided a home for a diversity of wildlife and seen remarkable rock art through the ages. The Ennedi Massif and surrounding rock art in Chad is to be found in the northeastern region of the country in the Ennedi Plateau, which is located in the Ennedi Region of the nation. The site is a giant and impressive bulwark that is located in the Sahara Desert that is surrounded by sands and has magnificent deep valleys, towers, arches and pillars that have all been formed over millennium by the forces of nature. The total site is around 35,000 square kilometers (13,513 square miles) in size.